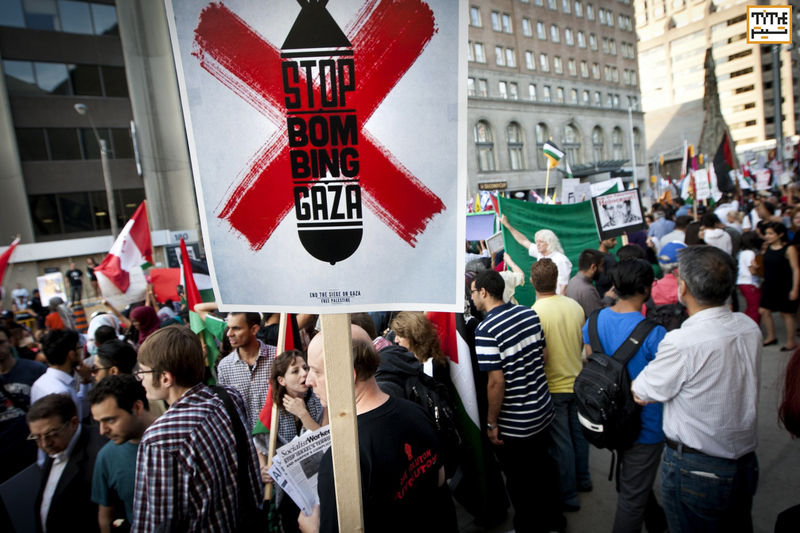 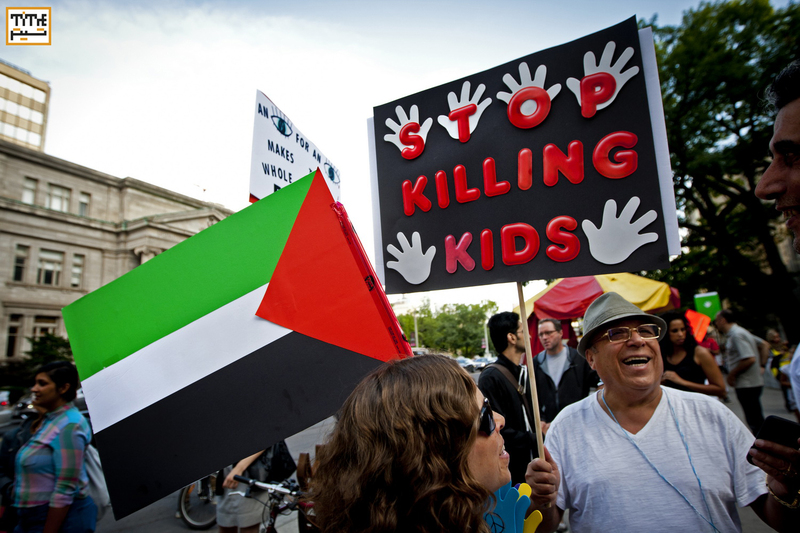 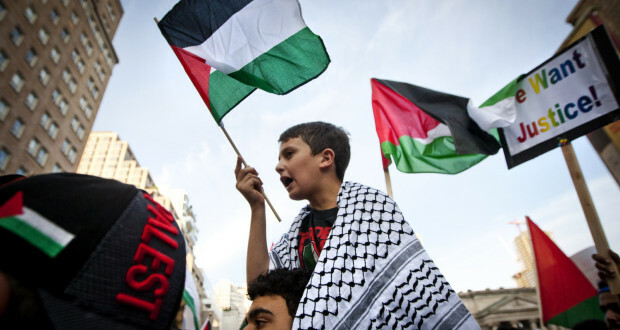 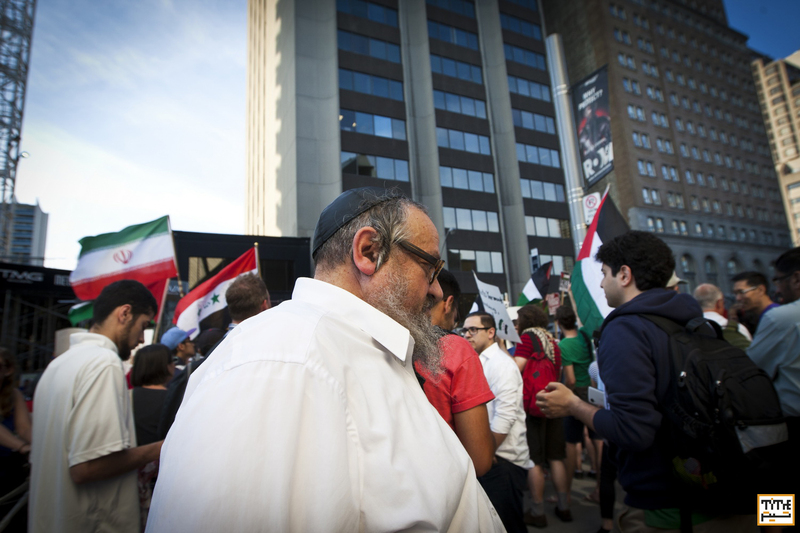 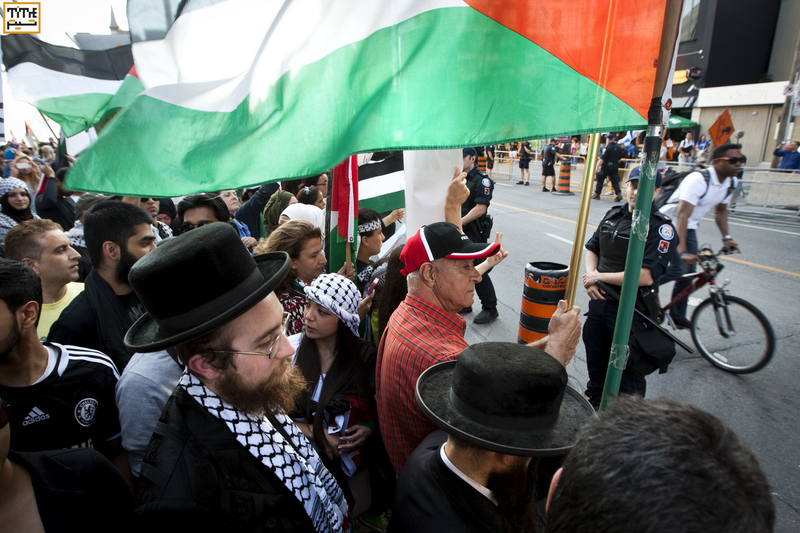 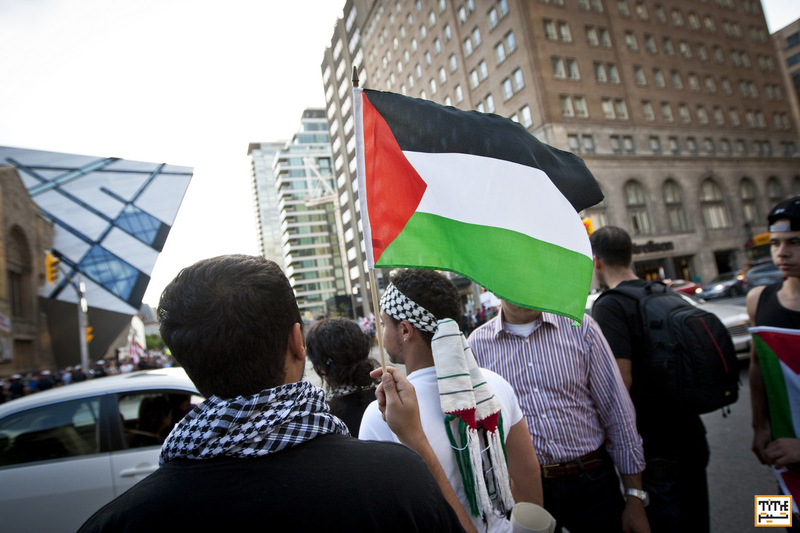 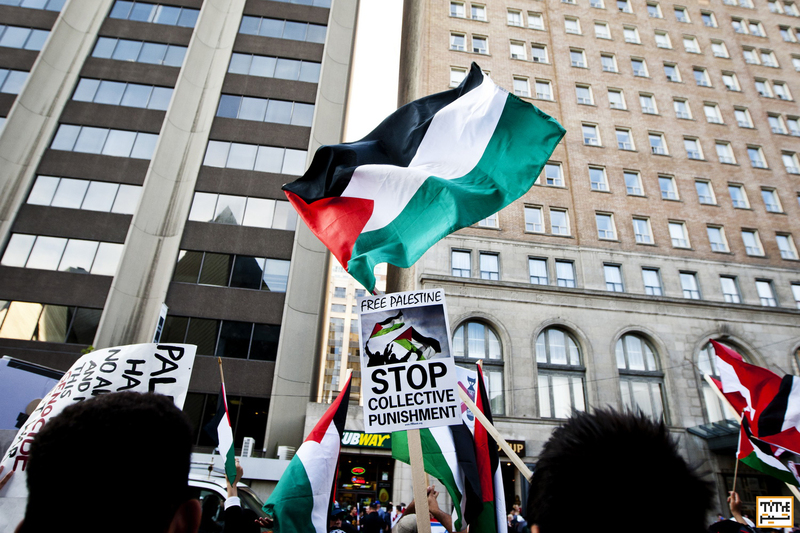 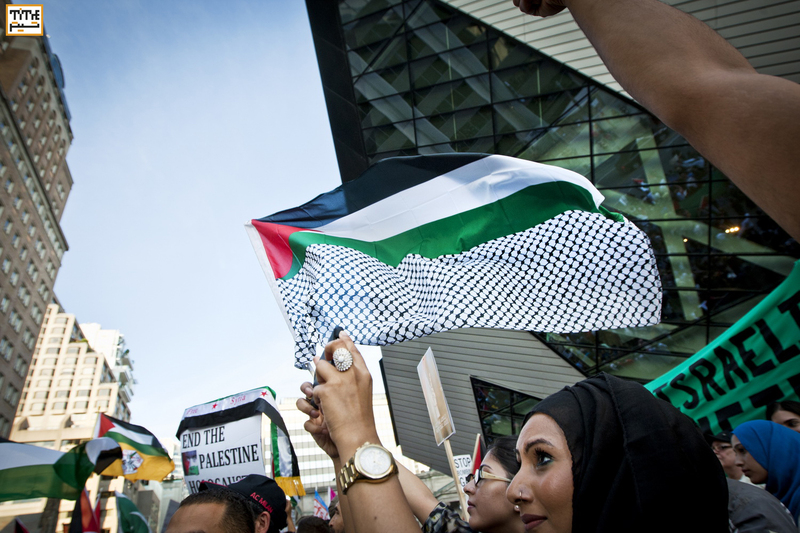 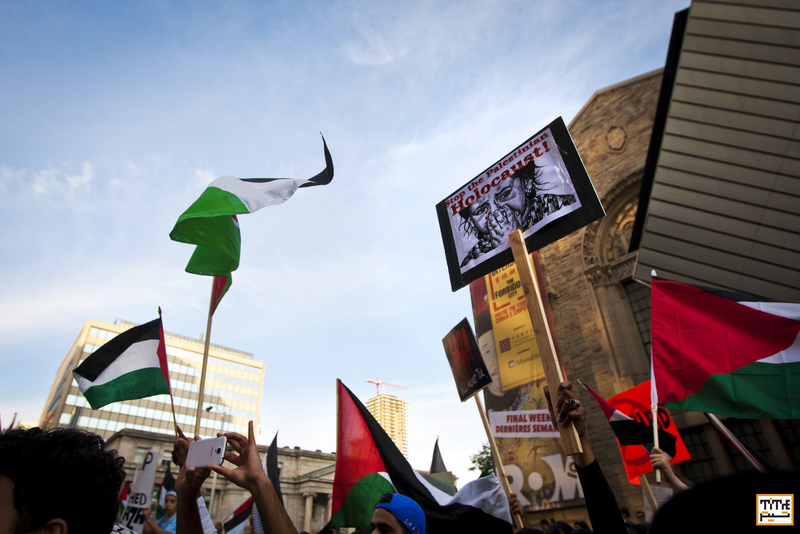 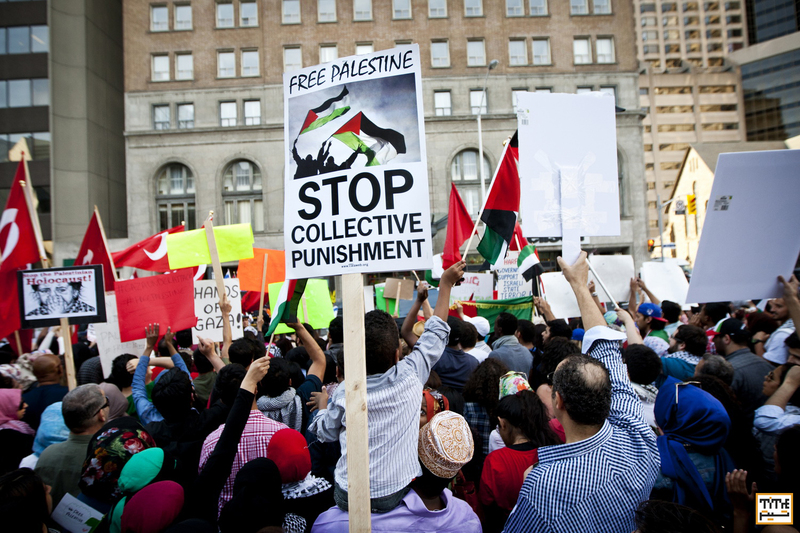 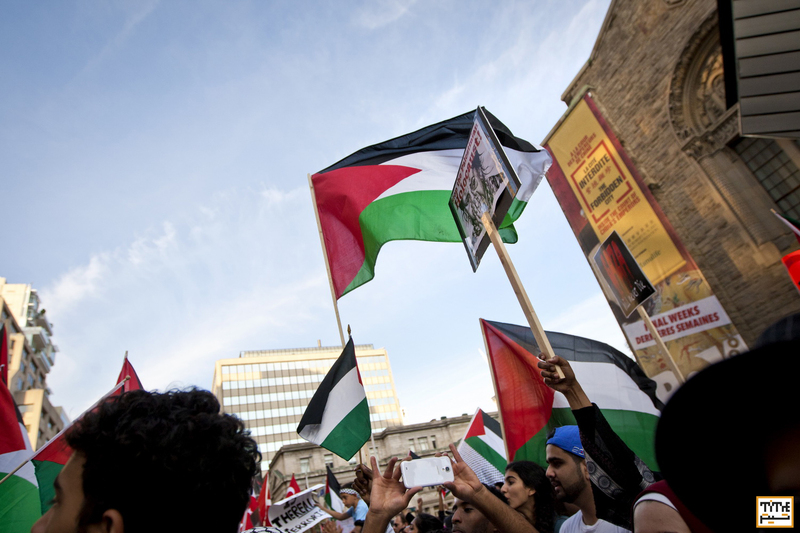 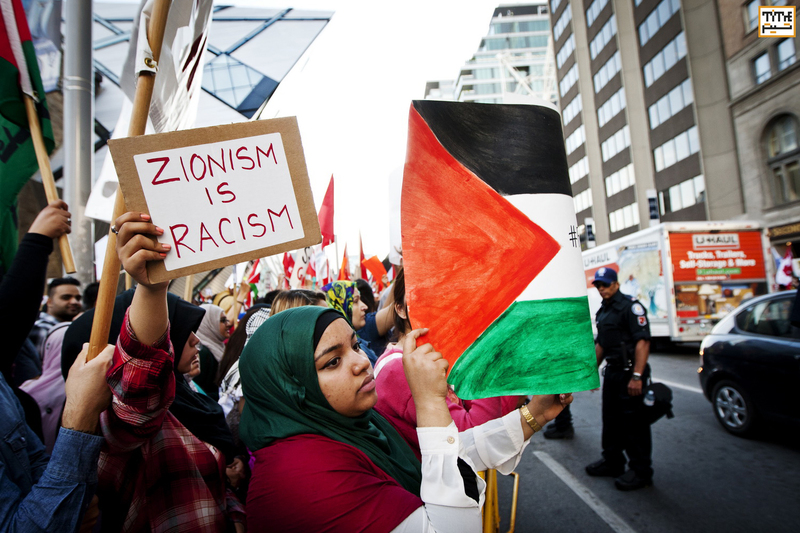 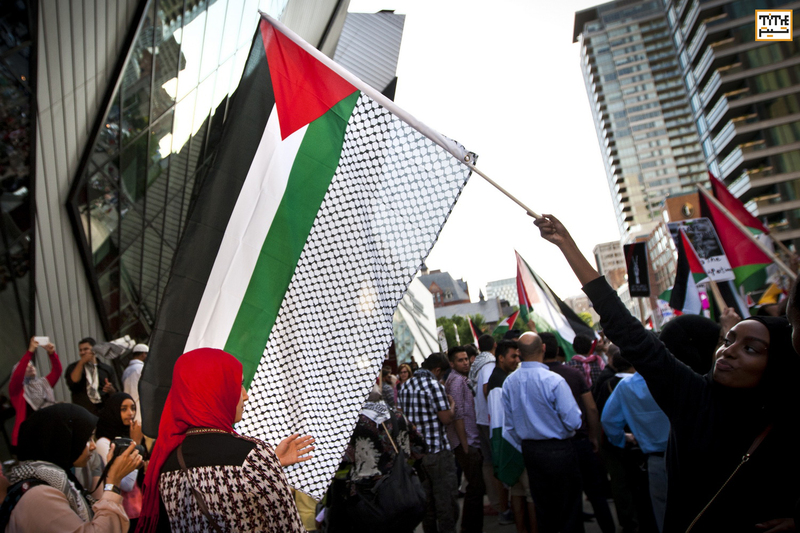 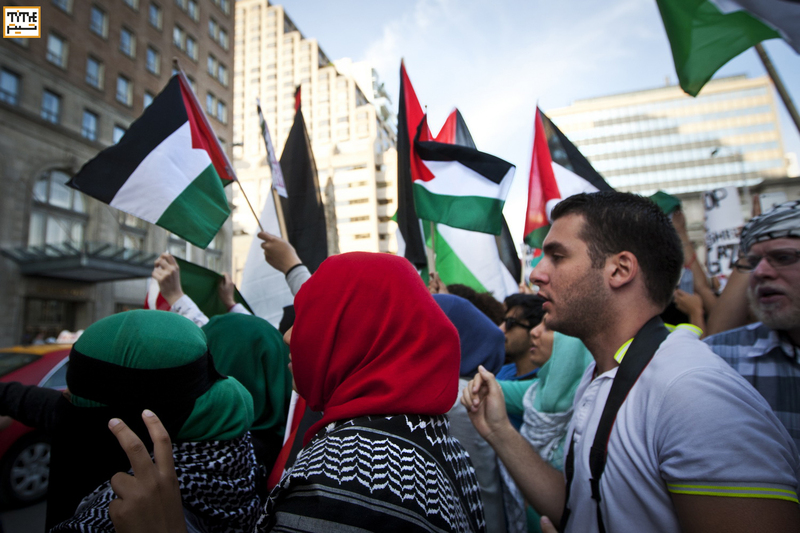 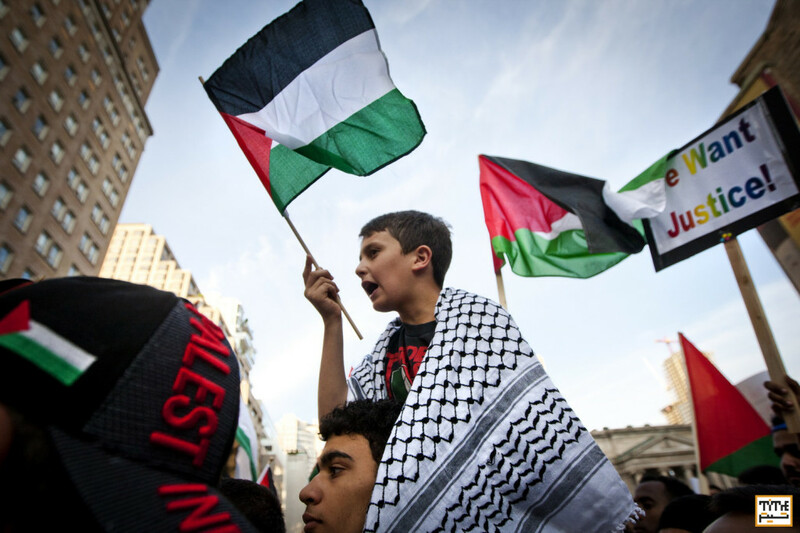 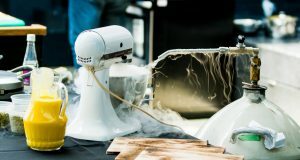 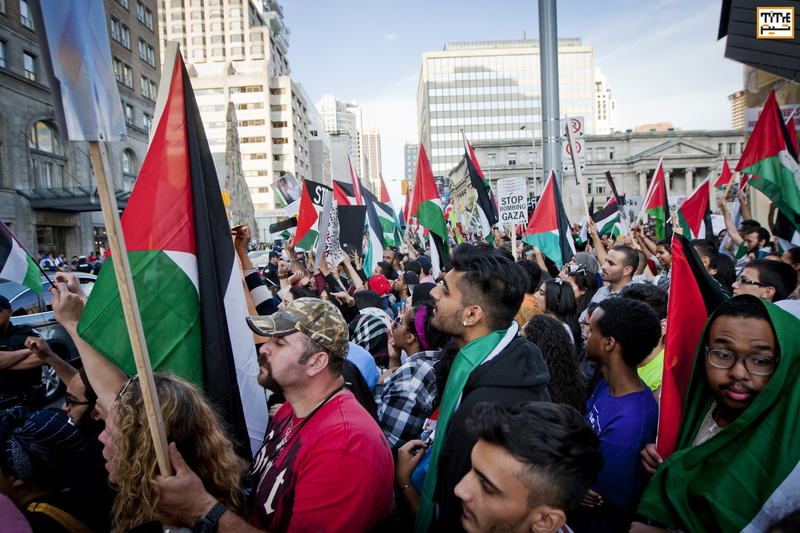 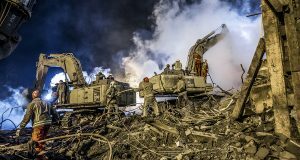 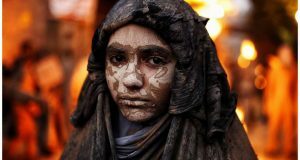 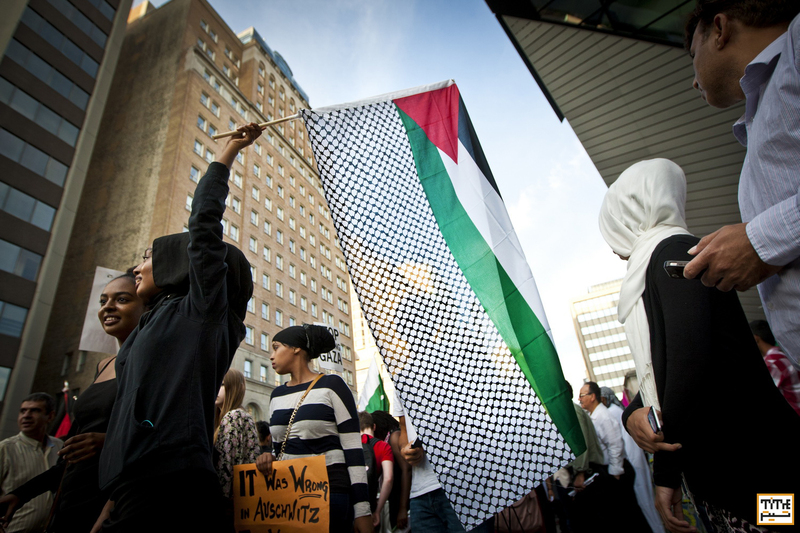 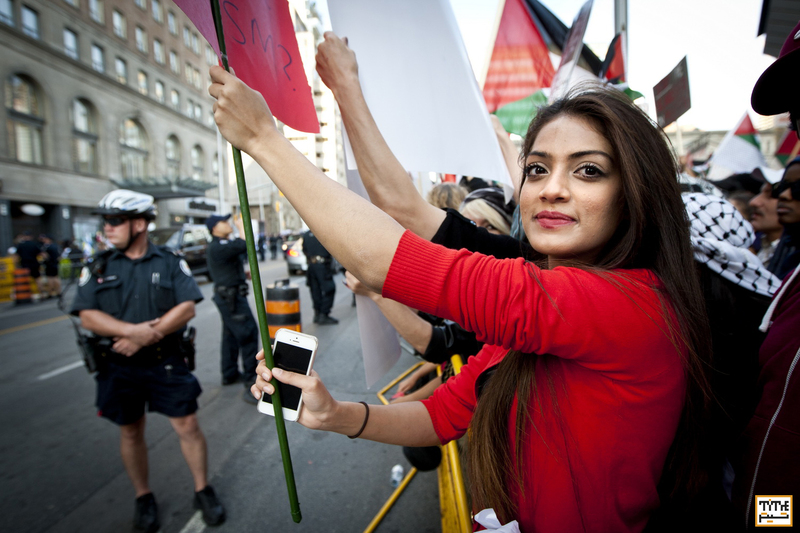 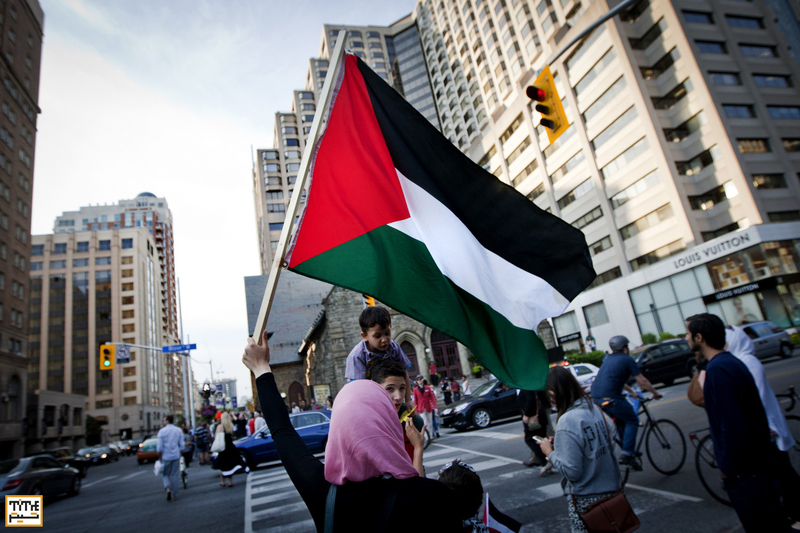 Protesters gathered in front of the Israeli consulate located in downtown Toronto, early Friday evening in response to the recent violence in the Gaza Strip. 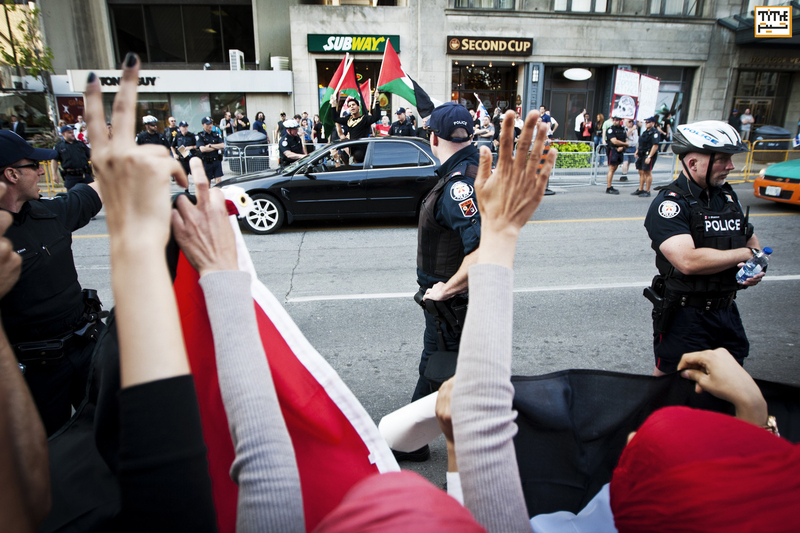 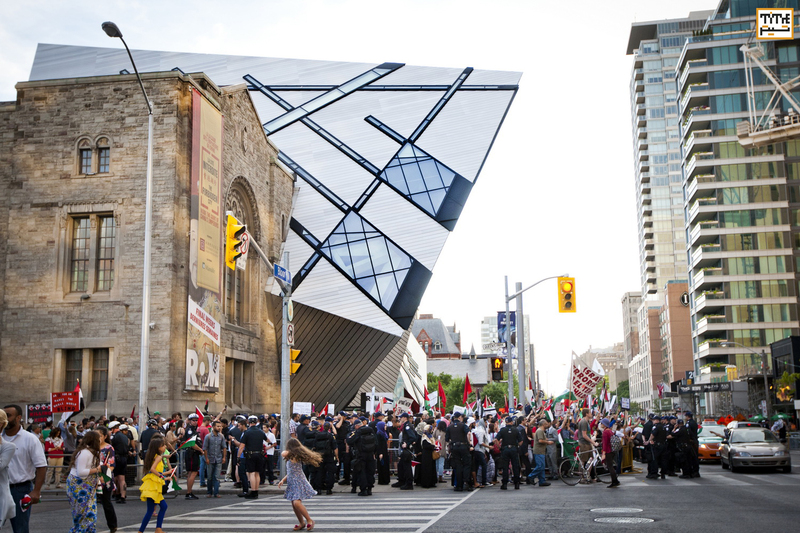 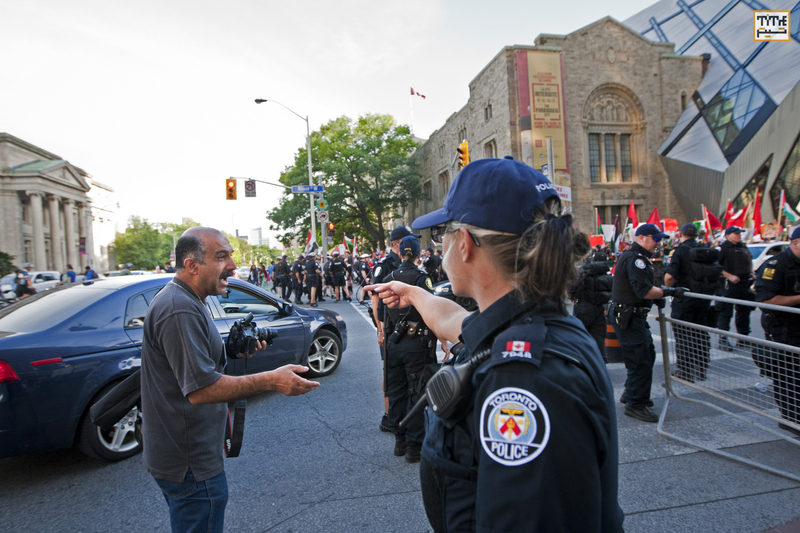 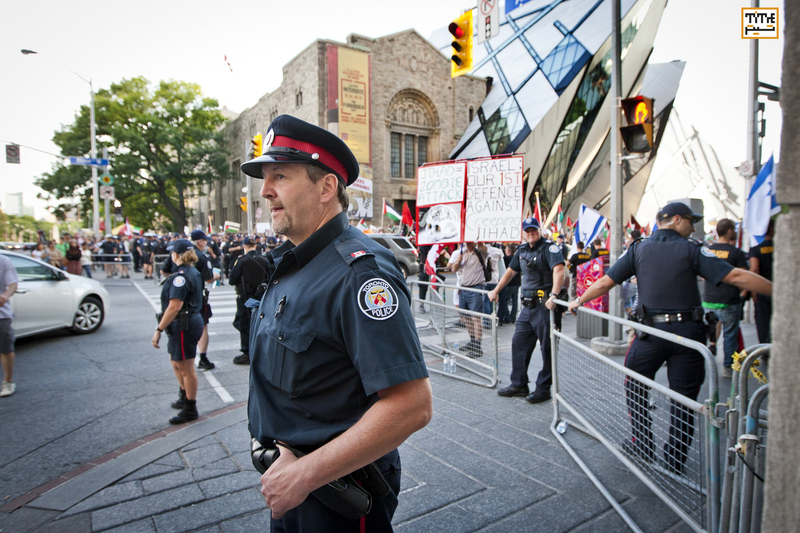 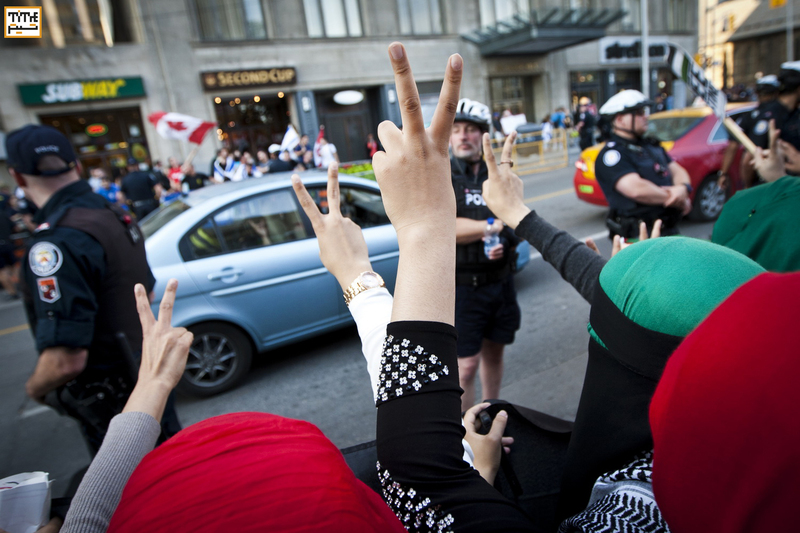 Peaceful protest took place for almost 3 hours and protected by Toronto Police, to prevent any further movement as small group of Israeli supporters stood in front of the embassy to provoke the other side. 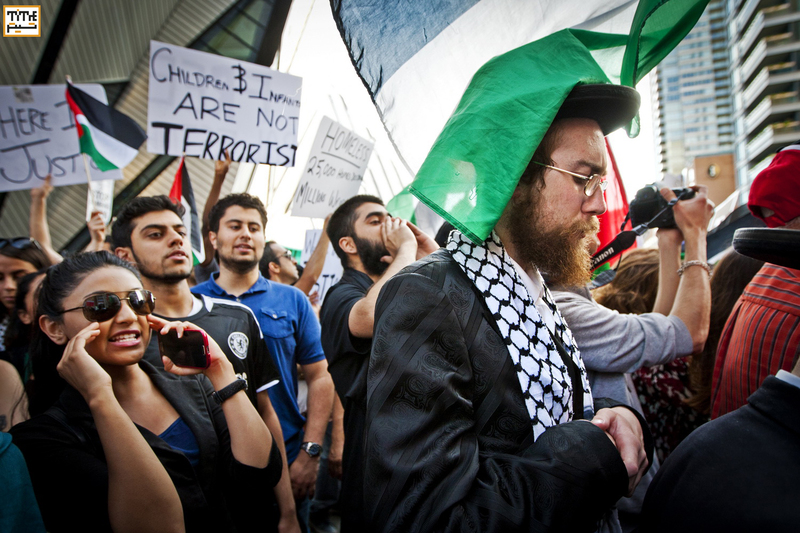 Few protesters from the Jewish community also stood against Gaza Air Strike, alongside the other protesters.